The latest depressing revelations about the Senate make it clear that the institution cannot continue in its present form. The vast majority of Canadians now agree that reform or abolition of the Canadian Senate is overdue. It is time to bring the people of Canada into the centre of the process and directly consult Canadians on any proposal for constitutional reform through a consultative referendum. The latest depressing revelations about the Senate make it clear that the institution cannot continue in its present form. 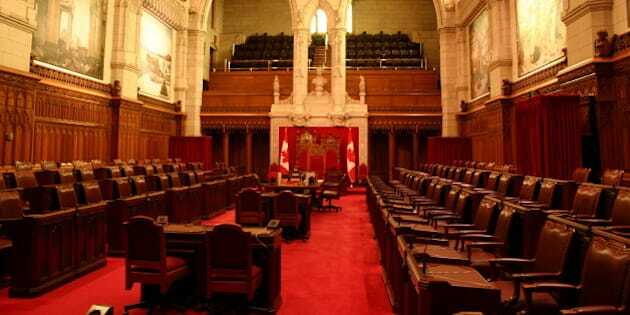 The vast majority of Canadians now agree that reform or abolition of the Canadian Senate is overdue. The Senate has become a hyper-partisan body contributing little to addressing regional tensions or supporting good national governance. For one thing, the western provinces are seriously underrepresented in it. Furthermore, as an appointed body, the Senate unquestionably lacks democratic legitimacy. Throughout the democratic world, appointed upper houses have been made elective or shuffled off to the side of the political stage. The Senate must be reformed or abolished during the next Parliament. Whether we like it or not, this requires changes to our Constitution and constitutional reform is entirely legitimate in the life of a vibrant democracy. In taking tentative steps towards constitutional reform, our leaders must be reminded that the Constitution belongs directly to the people of Canada, not to the federal and provincial governments. It is all too easy for the Prime Minister and premiers to opt for the comfort of First Ministers' meetings and protect their executive power and ability to manipulate and control outcomes. The time is overdue to bring the people of Canada into the centre of the process and directly consult Canadians on any proposal for constitutional reform through a consultative referendum. It is true that our anachronistic constitutional amending formula consists of a purely intergovernmental mechanism that was out of sync with the times even as it was first introduced into the Constitution in 1982. In the long run it is essential to update the amending formula for the 21st century and replace the requirement for provincial legislature approval with a requirement for a favourable vote by the people of Canada in a national referendum. Indeed, bringing direct democracy to the constitutional change process is a critical component of any credible plan to reduce the dangerous concentration of executive power that is insidiously undermining our representative democracy. However, even without formal changes to the amending formula, nothing in the Constitution says that the people cannot be directly consulted as the means of determining whether provincial legislatures will approve or refuse a particular amendment. Indeed this is in fact the legacy of the Charlottetown Referendum -- establishing a convention that a consultative referendum should be held on any significant constitutional change. In addition, nothing in the Constitution says that we have to have constitutional reform proposals covering multiple topics. As the Charlottetown Referendum also definitively demonstrated, it is confusing to undertake multiple constitutional reforms at the same time and in the same document. The constitutional reform process too easily descends into an unprincipled free-for-all among provincial premiers demanding more and more powers. Linking different reforms in one document can be unprincipled and deprive people of a chance to decide each on its own merits. So here is a simple message for our politicians, whatever their political stripe: Trust the people. Give us open, transparent debate on straightforward subjects and then a vote, and we will get it right. But if there are multiple subjects -- senate reform, a new preamble with a reference to Quebec's distinctiveness, an environmental bill of rights, a new amending formula -- then discuss each subject separately, in separate documents, with separate votes. If discussions do proceed simultaneously on different subjects, there should be a separate referendum question on each. For senate reform today, Parliament could appoint a non-partisan commission of informed Canadians tasked with holding hearings across the country to listen to Canadians, explain the issues at stake, and discuss possible options for reform. The commission would be mandated to -- within a reasonable time frame -- come up with a serious reform proposal that involves a Senate, however elected or independently selected, with a new distribution of seats and new powers. The proposal should then be put to the people for approval in a national referendum with two options: Which do you favour: the reform proposal or abolition? There would be no option for the status quo. The time is overdue to cement constitutional change as principally an affair of citizens, not simply an ordinary set of federal-provincial negotiations. The people are sovereign, not governments or First Ministers.